The Swedish large company is the manufacturer of the first lawn mower robot worldwide, Automower. This was built and sold since 1990. In Germany was the first model of the G1, which was then still under the brand Electrolux sold. From 2007 this was changed to Husqvarna. In the field of lawn robots, the Swedish company is by far the market leader. The sales figures for the 305 to 330 are in the high 5-digit range. Since 2013, a reduced version under the subsidiary brand Gardena has also been marketed through the construction market. Three new models were also launched in 2013: the 308, 320 & 330. 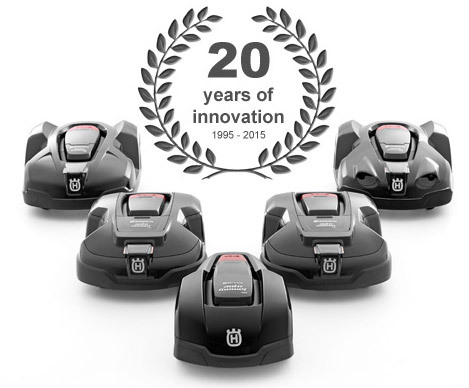 In addition to the Robomow products, these lawn mowing robots are the most advanced on the market. Both manufacturers are relying on a technology which shows the mower the right path and the limits of the garden using a limiting wire. Through the search cable, which must be placed in the middle of the garden, the Automower always finds its charging station. The company is the market leader in the field of mowing robots. The success story began in 1998 with the model G1. This was then still under the brand Electrolux in Germany distributed. Since then, it has been the most sold lawn mowing robot worldwide. The big breakthrough came with the 305 and the new Automower 308. The sales figures have risen rapidly in recent years. This is also due to the growing popularity of household robots for the garden in society. Husqvarna shines through a dense and highly developed service network. What models are available on the market? The product range has been very well balanced in recent years and includes many and high-quality lawn mowing robots. The smallest is the Automower 305 followed by its successor the 308. For the environmentally conscious, there is the solar hybrid that can be operated by sunlight. For large gardens, the company offers the 320 and 330. Both have come out in 2013 and replace their predecessors the 220 and 230. For very large properties and sports grounds there is the 265 ACX. Can I buy Husqvarna products from HRobotic? We offer all Husqvarna mowing robots for sale at a cheap and fair price. There is no need for any service and we are always on hand to answer questions. Through our technicians and service staff repairs are possible in our house. This ensures fast and unbureaucratic service. The company was founded in Sweden in 1689. At the beginning it made muskets, which is easily recognizable on the logo. But the range has been renewed and extended from time to time. 1872: Manufacture of household appliances and sewing machines. 1896: The first bicycle from the manufacturer is released onto the market. 1897: Change of the company. 1918: Manual lawnmowers and boilers were produced. 1935: The range was extended by light motorcycles. 1959: Chainsaws and microwaves are produced and sold. 1962: Takeover of the bicycle production of Monark. 1977: The Electrolux Group takes over the company and from now on produces household appliances. 1987: Cagiva buys motorcycle production. 1997: The sewing machines are now manufactured by SVP. 2006: The company separated from the Electrolux Group and bought the manufacturer Gardena among others. Some models are genius all-rounder. They manage to mow steep areas, where some ride-on mowers do not advance. If it is possible to get rid of the mower, the whole unit will be straining steeply and this could cost you sooner or later. Another advantage is the independence from the weather. The latest Husqvarna lawn mowers can easily mow the lawn in the rain. Thus, you do not have to be present when the lawn is mown and can use the robot in any weather. Whoever has a robot will love and use it. This also regularly needs new accessories. This includes the blades, which wear out over time. But also cables may have to be replaced. Garages are available for robots, this enables you to store it safely outside. In 1994, the Swedish company "Husqvarna" was the first manufacturer to develop a fully automatic microscope robot, named "Solarmower 1995". Because the robot worked exclusively from solar energy, there were many great admirations and successes on sale. In addition, the product cost more than 5,500 DM and was like a start shot in a completely new generation. Since then, of course, much has changed or improved in the technical area. However, the concept remains "little cutting, but often". Most manufacturers now offer their own developments. Nowadays, since the third generation, control by mobile phone and smartphone is also possible. In our range, we offer some spare parts for Husqvarna models. The blades of the mowing robots use themselves from time to time, which is why replacement knives have to be purchased. After many years the exchange of the limiting wire is also necessary. There are turf hooks for this purpose. In our shop you can also buy these in a 100 pack. When replacing, however, it should be noted that it is the spare part for the respective Automower, because not every spare blade can be used with any ModellOffroad kit purchase. 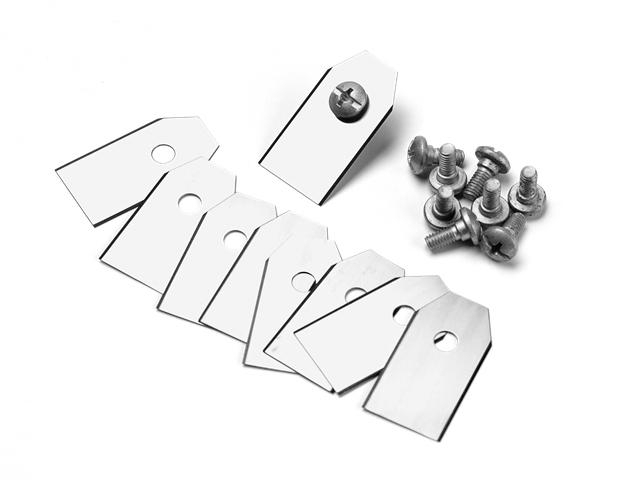 This is irrelevant in the case of lawn hooks, limit cables and plastic clamps since this type of accessory is not dependent on the model or is attached to it. Even if certain spare parts are not available in the shop, we can order these at the manufacturer from the spare parts catalog. Please write us an e-mail to info@haushalts-robotic.de or call us at 0621 31972680. A specialist consultant will help them quickly and unbureaucratically. What accessories does HRobotic have for Husqvarna in stock? We have everything in stock for the robots of this company and can deliver quickly, ex stock. It does not matter whether they have a 308, 305 or one of the new and large 330 & 320 models. We carry limiting wire, knives, cable connectors & more. To see the complete range, simply visit our category Automower accessories and spare parts in the Onlineshop. There they will surely find the right one for them. Highest quality and best development characterize the Automower mowing robot! If you do not want to do half things, buy a mower from Husqvarna. These are convenient for any garden. Whether large or small, slope up to 45% or level. The robot has a solution. HRobotic are experts in the field of household robots and can, therefore advise you on which robot would be best for you. Hook enclosed 0. 0. 0. 0. Additional knives 9. 9. 9. 9. Which Automower model is right for my garden? Depending on the size of the garden, there are different models. There is the classic Automower 305 for surfaces up to 500 m². It impresses with an excellent work performance at a favorable price. If you want it bigger, you can access the new 308. Lawns up to 800 m² are his area. For the environmentally conscious, there is the SolarHybrid, thanks to its solar drive, it saves electricity and money. For the large lawns, there is the new 320 and the mowing robot 330 for garden areas of up to 3000 m². For these two, a slope of up to 45% is not a problem either. Who can help me with problems and technical problems with my device? We do not leave them alone after buying their auto mower Automower. We always stand by you personally, by phone or by e-mail. Repairs to the lawn robot are done by our service workshop, fast and unbureaucratically. The Automower and the Household Robotic are not characterized by long service times and fast warranty handling. Automower Blade set - How often do I have to change the blades on my Automower? The fine cutting blades of the Automower have to be changed more often than the large steel blades from other lawnmower manufacturers. They are much cheaper. The frequency also depends on the quality of the soil. On average, the knives have to be exchanged on a 1000m² lawn, every 1-2 months. How long does the battery of the Automower last? The battery is a consumable. When using 6 months a year on an area of approximately 800 m², the battery will maintain at least 2 to a maximum of 4 mowing season its full performance. Then we recommend watching it and changing it if necessary. How long is the power cable of the Automower? The power cable or low voltage cable of the Automower is standard 10 m long. This means they can also get electricity from their sheds, basements or other distant sources of electricity. Please do not extend the low voltage cable with a conventional power cable as problems will occur. Does my Automower have a pin code on delivery? Yes, since 2015 a PinCode has been awarded directly from Husqvarna. This is communicated by the dealer at the time of delivery. In the setup menu you can change the pin to your desired code. I forgot the PinCode of my Husqvarna Automower. What can I do? Contact the dealer from where you purchased the Automower. They will be able to supply you the PinCode from the serial number you provide together with and a code which appears when a certain key combination is pressed. How wide must a run at least be so that the Automower can pass? The width should be at least 60 cm. Smaller lawnmower models such as the Automower 305 or 308 need less. Larger models like the Automower 320 and 330 should have at least a width of 80-100 cm available. My Automower does not drive anymore and there is a blue light flashing all the time. What does that mean? The limiting wire was interrupted at one point. Therefore the grinding signal is interrupted and the Automower can not continue. The blue flashing light signals this error. Locate the defective part of the limiting wire and reconnect the two ends by a cable connector. Do you have problems with finding the break site? Use a radio or buy one (break detector simple variant) or the (professional variant) in our accessory category. 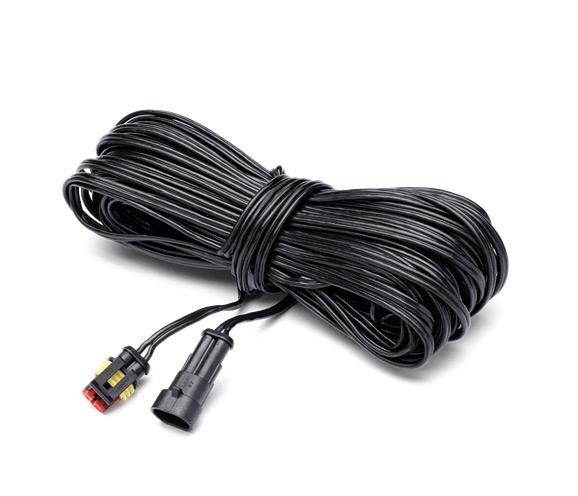 How do I find a radio cable breakpoint? Do not place the radio on any radio transmitter, but on noise. Run the wire along with this radio. In all places, to this the radio roars is the wire not defective. At this point the noise stops is the defect. Alternatively, they can also use a cable break detector. This is also available in the professional Veriante. My Automower indicates that the wheel motor is blocked, what is the reason? Most likely, grass or other objects such as a cord or a rubber have caught on the driving wheel. Remove this foreign object and check whether the problem persists. My Automower issues that the knife is blocked, what do? Here, too, a foreign body was probably caught. Clean the blade of grass or other objects and try again to start the Automower. The display of the Husqvarna Automower indicates the error code Outside. What is the reason? Either the Automower is not within the limiting wire. Then place the Automower in the wire loop. Possibly, the ground is too steep or has too high a slope, so that the Automower no longer receives a wire signal. Or the wire was incorrectly routed and the Automower therefore has an error. Check the wire and whether the lawnmower robot can get it from the signal as well. Error message at Automower "Ladestation blocked" or "no contact with the charging station". What to do? Check whether the charging contacts of the Automower and the charging station match each other. Sometimes these are bent and need only light hand or with one Screw the screwdriver back into the correct position. The charging contacts may be contaminated with grass or mud. If they clean it, then it should work again. The battery has a defect and can not be charged correctly. Replace the Automower battery with a new one. My Automower wants me to load it manually, why? You have changed the settings of the Automower and placed in the MAN command. Set it back to the default setting AUTO. How do I know which charging setting is currently assigned to the Automower? Open the Automower cover and look at the display. At the top is either MAN or AUTO. Below is the date and time. Why is there a MAN setting on the Automower? If the Automower lawn robot mows a secondary surface without a loading station, the MAN setting must be selected. The Automower mows then until the battery is almost empty. Then he gives the message of manual load. Now they have to put the Automower back into the charging station by hand. Should he then mow the main surface with Ladestation. Set it back to AUTO, otherwise it will not automatically return to its charging station after mowing. There are different security levels at Automower against theft, which? Automower can select 3 safety levels. They can be set via the settings menu under "Security". What is symbolized by a padlock as a picture. 1st stage (low safety) The PinCode must be entered every 30 days when opening the cover. 2nd stage (medium safety) If the flap is opened or the Automower is switched off and on, a PinCode must be entered. 3rd step (high safety) If the STOP button is pressed or the mower is lifted, the PinCode must be entered within 10 seconds. If this is not the case, a loud alarm sound will sound. From what temperature should I not let the Automower drive? As soon as the first minus degrees are reached at night, they should dismantle their lawnmower robots and store them in the basement or store them for winter storage. The LED at the Automower Ladestation is not green, but blue, why? The grinding signal is weak, but it is sufficient for the operation of the Automower. If they wish, they can connect a signal amplifier, which increases the signal strength again. My Husqvarna Automower does not run after the winter break or can not start. What to do? This can have very different reasons and is individually different. Look for error messages and the display of the LED color at your charging station. Go through our frequently asked questions and see if the right mistake is there. Can I reset the Automower to factory defaults? Yes, go to the Settings menu and then go to the Reset customer settings menu. The lamp at the charging station of the Automower flashes yellow, what does that mean? The search cable is not connected to the charging station or it is damaged or broken. Connect it to the charging station or use a radio or cable break detector to locate the damaged location. Can I mow the Automower while my irrigation system is running? No, the Automower is an electronic device. When water comes from above, it is absolutely dense and does not get any damage from it. If, however, water falls from below, which is injected directly into the housing, the internal electronic components are destroyed. Therefore set the timer function of your watering system so that it never works with the Automower. What is included with the Automower lawn robot? The amount of accessories differs depending on the model. The Automower 330 has more nailing nails and a limiting wire than the Automower 305. 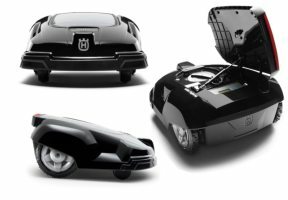 The following accessories are available in all models (except Automower 265 ACX). How many square meters of lawn does the Husqvarna Automower create in the hour to mow? This depends on some factors. Depending on the size of the cutting disk he creates more or less square meters per hour. An Automower 330 creates more because it has more cutting surface than an Automower 305. Also, the texture of the knives, the lawn and the whole garden plays a role. In a garden with a lot of incline, the Automower will create considerably less square meters per hour than in a flat garden. On average, it is said that Automower creates between 60 m² and 120 m² an hour. How far is the maximum wire meshing of the Automower buried? If you want to bury the boundary wire in the ground, make sure that the depth does not exceed 20 cm. Otherwise the Automower can no longer receive the grinding signal. Does the Automower necessarily require a search cable? No, it helps finding the charging station but is not mandatory. The Automower looks for its charging station in the following way.